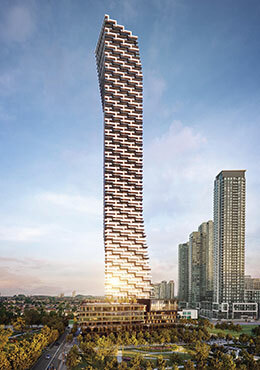 The third tower at M City is about to soar tallest in Mississauga and be among the top 5 in Greater Toronto Area. A monumental 81 storey metal and glass tower with 6-storey podium designed by award winning IBI Group. Interiors designed by Cecconi Simone Interior Design. Eleven elevators for residents’ convenience. Suite sizes range from 475 square feet to over 1000 square feet of efficiently designed indoor space plus spacious outdoor balconies with every unit. This will be the third phase of the 8 condos that will be built with stunningly distinctive design from one another. 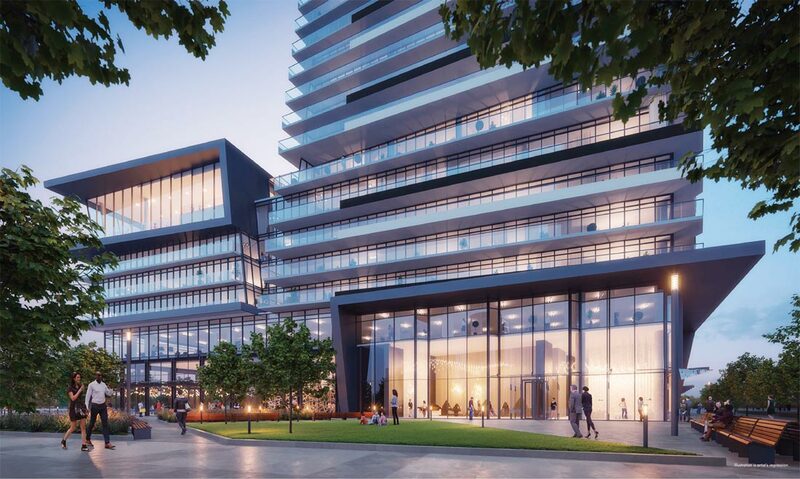 Live steps away from future LRT station (Light Rail Train) connecting you to City of Brampton, Cooksville GO and Port Credit GO station within minutes. Prices are from mid $300s and parking and locker combo is available for an additional $40,000. 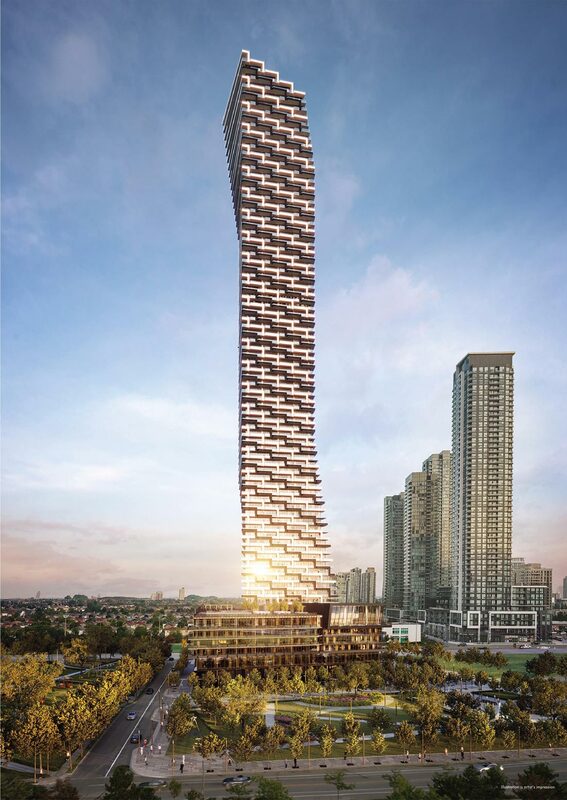 M3 Condominiums will be reaching new heights with BOLD, UNMISTAKABLE architecture and world class amenities for residents to enjoy. 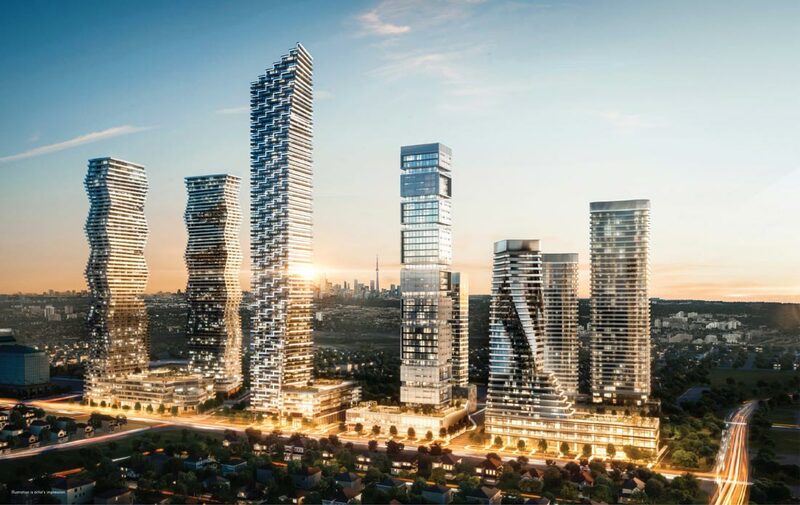 This master-planned community by Urban Capital Group is in Mississauga’s top location with retail, restaurants, a 2 acre M park with grand water feature, and the amazing community of the Mississauga City Centre. 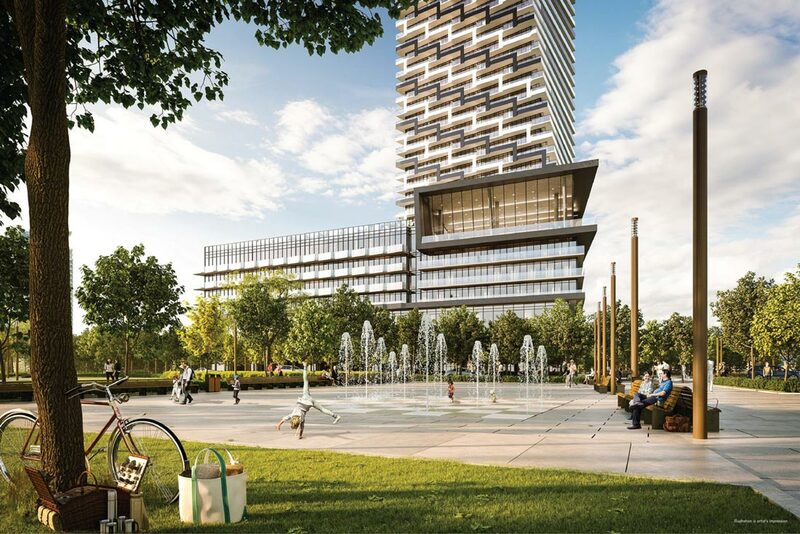 Transit Score 83/100 – minutes away from Square One Mi Way Bus and GO Terminal, Erindale GO station, Cooksville GO station, and one block west from the future Light Rail Train station. Included in your purchase price will be Cecconi Simone custom designed kitchen cabinetry, stone countertops with square edge profile, tile backsplash and undermount stainless steel sink. in range and stainless steel microwave. Every unit bathrooms will feature custom designed vanity and medicine cabinet, stone countertop, backsplash, porcelain floor and wall tiles, frameless glass shower enclosure for separate showers, deep soaker tub, and energy efficient low-flush toilets. A luxurious two-storey lobby with 24 hour hotel style concierge and fireplace lounge. Residents and their guests can enjoy M3’s exclusive amenities such as indoor salt water pool, fitness center, screening room, splash pad and kids playground, indoor kids playroom, outdoor lounge seating with fireplace, and outdoor barbeque stations and private outdoor dining areas. A prep kitchen for dining room, event space, and party room. Home Ownership made easy with only 5% down in 2018, 10% in 2019 and the remainder of 5% in 2020. Save, Invest and become a homeowner with an extended deposit payment plan. An incredible opportunity to pay in small semi annual installments while your new home is being constructed. 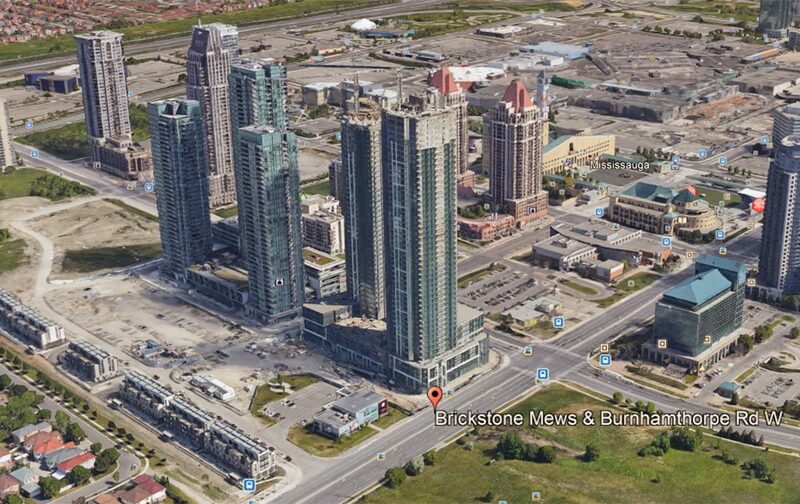 Mississauga’s downtown has such a beautiful culture with Square One shopping mall, Living Arts Centre, Sheridan College Hazel McCallion campus, Art Gallery of Mississauga, Central library, Civic center ice rink, water feature and Mississauga Celebration square all walking distance from this preconstruction Mississauga condominium. There is always something exciting taking place at Celebration Square such as movie night, special holiday events, cultural food festivals, live concerts and farmers market. A perfect location for families as they can enjoy awesome outings at the nearby Sky Zone Trampoline Park, Central library, Playdium arcade, and the Cineplex Cinemas entertainment complex. 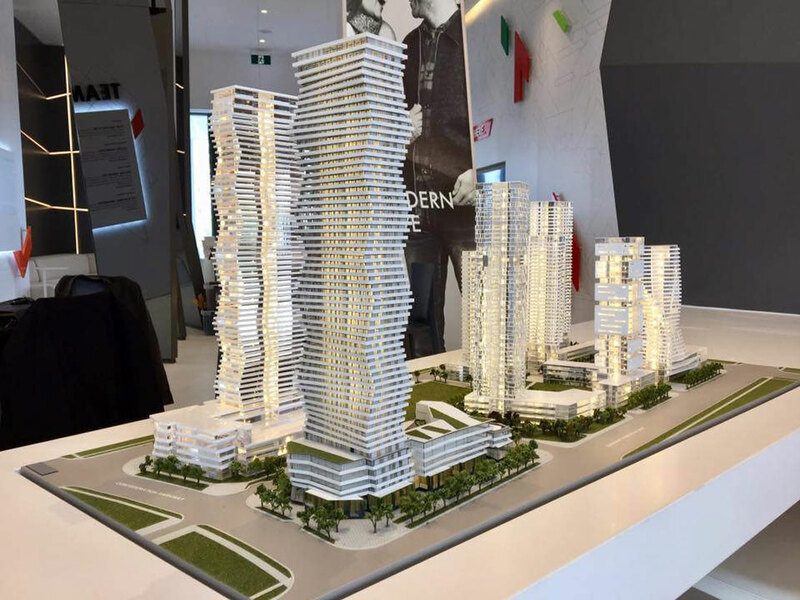 To book your private model suite tour appointment or to discuss this project register now or call me at 647-544-4663. Checkbook and Govt issued photo ID required to reserve your suite. 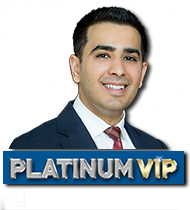 For floor plans, price list or unit availability register online or email me to setup an appointment.